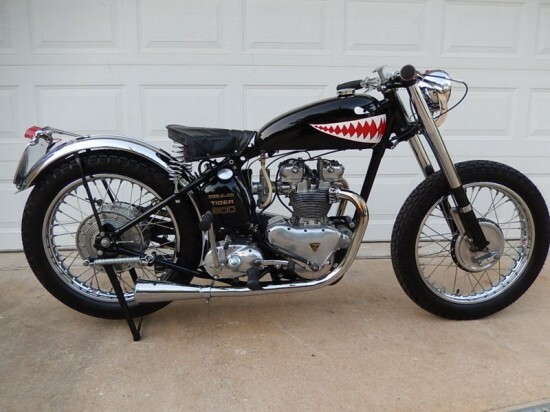 This 1952 Triumph Tiger T100 is a little bit different from what we have highlighted before. 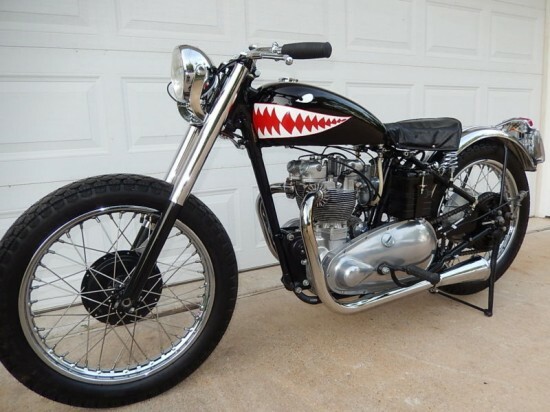 It would be a little less sport bike, and a little more bobber/street tracker. 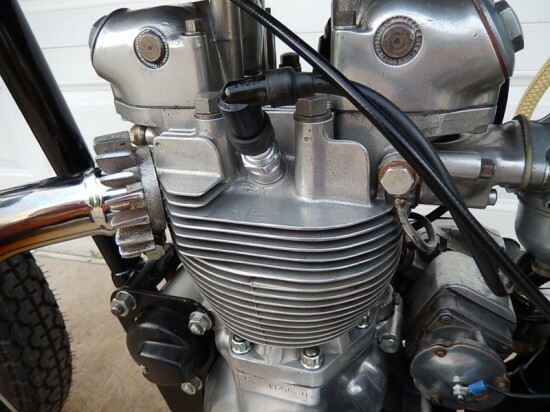 But what I like about it is the all alloy T100 engine, and the fact that the build is all cosmetic and not altering. 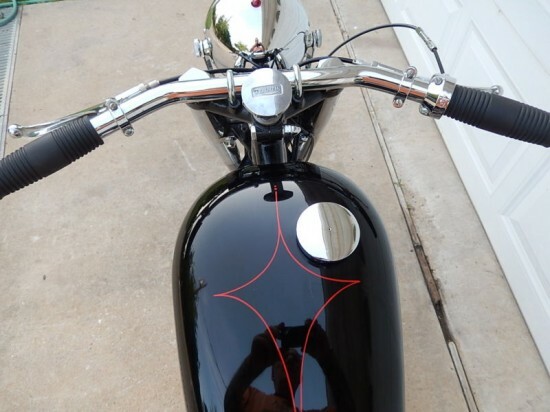 The frame, fork, and rear end all appear to be stock, and the choices of tank, bars, fenders, and fork covers make the bike what it is. 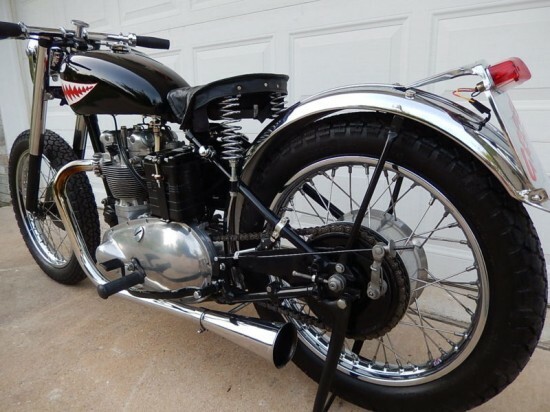 The Tiger T100 had grown from the pre-war Speed Twin, but had kept its rigid rear end until 1954. 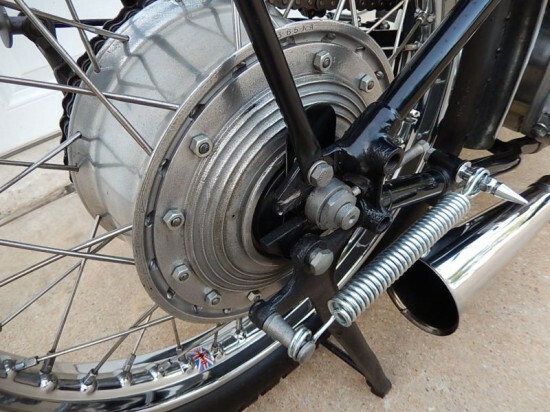 The sprung hub was a way to get a little motion in the rear, and sometimes it felt like the motion was multi directional. 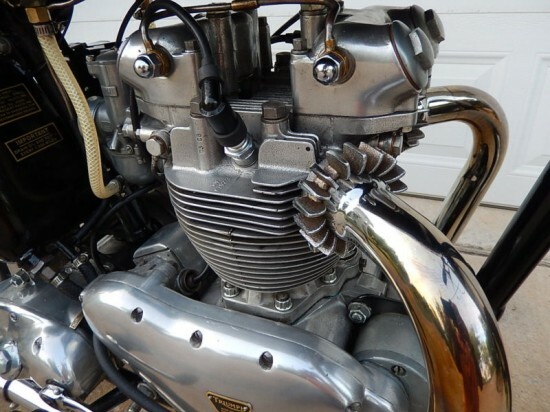 The all alloy motor was an upgrade to a cast iron cylinder and head, believe it or not, the first alloy engines were developed as generators for air planes during the war. These lightweight generators found themselves re-purposed after the war on race tracks, driving Grand Prix want-to-be’s.